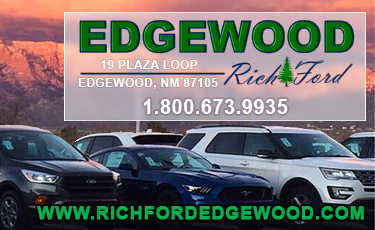 We'd like to recognize our PDI Manager, Rick Bowles, for his 45 years of employment here at Rich Ford! He was hired by E.W. Richardson on December 30th, 1973, and began working in the Pre-Fab Department. He then quickly worked his way up to Quality Control (for 4-5 years), to becoming the Body Shop Administrator, and then became the Manager of Procurement and the tool room, where he managed the inventory and bought supplies for the whole dealership. He then became the Pre Delivery Inspection (PDI) Manager nearly 16 years ago and has filled this role ever since. As PDI Manager, he inspects every single new vehicle we receive from transport for damages. Once the vehicles are inspected, he then gives each car a number so that they're organized into our inventory. Rick is also a military veteran, who served in the U.S. Air Force for eight and a half years and was stationed in several places, such as Iraq, Vietnam, Turkey, Antartica, and several places throughout Europe. When asked what his favorite memory about Mr. Richardson is, he exclaimed, "He's a great guy. He had faith in me, so I never let him down. I remember him and our barbecues every Fourth of July. He had a great beer truck and a cooler that had watermelon in it... and we had cake." If you want to know a fun fact about Rick... He's also a balloon pilot! Additionally, he's one of the people in charge at the Albuquerque International Balloon Fiesta and manages a crew of 60 volunteers. He's had a role in the Balloon Fiesta for over 42 years. When he has spare time, Rick delves into the world of photography, and his favorite things to photograph are wildlife and events. And if that wasn't enough, he's also a member of the Gold Prospectors Association of America (GPAA) and knows how to pan for gold. He attends their convention in Las Vegas, NV every year. 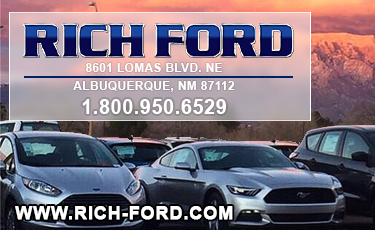 His favorite Ford vehicle that he's owned? While it was hard to say (he buys 2-3 every four years), his favorite of all time is the 1973 F-250 Highboy. Nice! We sincerely thank Rick for his hard work, passion, and dedication. He's become a Rich Ford legend and his perseverance serves as a fantastic example of what we look for in all of our employees. Thank you, Rick. We appreciate you!